Do many discount alerts came across out desks today, rather than try and keep you up on any one or two, here is a list of the Big Name software discounts. Some are today only, others are all week, but all are pretty good discounts if you were waiting to make a purchase. All of these nice discounts are for the mobile version only. When we mention they sync with their desktop version, those are sold separately. There is no ‘need’ to buy a desktop version of the software to enjoy the iPad versions, but having the software everywhere and all in sync does add to the power of the mobile apps. 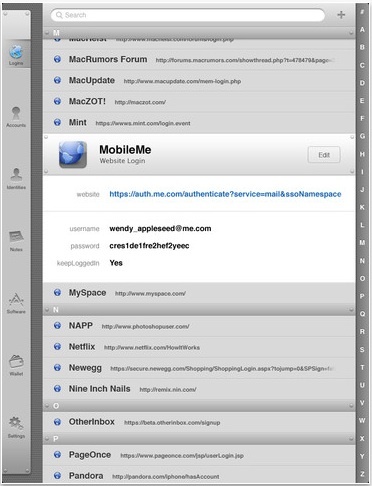 1Password Pro (the Pro, Universal version of 1Password) – the holder of our passwords. The app is on our iPad, iPhones and desktops, all synced so we can have very creative passwords for every service we log into. No need to have one password for many services since it is hard to remember so many, instead we have a big password for 1Password, then let it remember which service has which password. There is even a cloud backup within the app in case we go a long time between iPad syncs to be sure passwords are never lost. 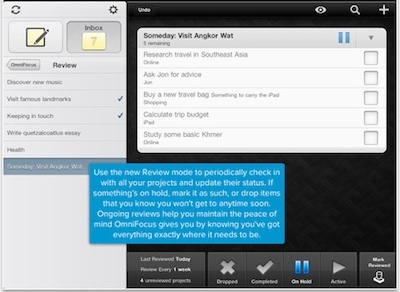 OmniFocus for iPad – more than a todo list without being a complicated project manager. The app allows multiple layering of tasks, tagging each item so you can sort and view in many ways. It is particularly good if you have many lists across many projects and just need to know what you need to get done now and later today and later this week… no more searching around and trying to find bits and pieces of projects to re-prioritize, the app does all of that for you. 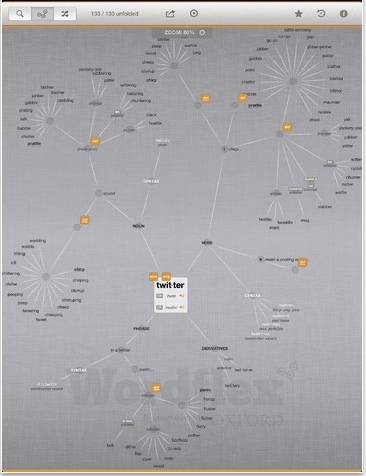 Wordflex Touch Dictionary – a newer app for us. We have used a similar app on our desktops for years. If you find you need to find a word that relates to another word, these type of tree apps do the trick. This particular application on the iPad uses data from multiple dictionaries to deliver data to you quickly. Search for a word, tap it to expand other words out from it and start working down a path that a word list dictionary can never do. SketchBook Pro for iPad – often used and often mentioned here too. This is the app that we use for quick drawings to explain an idea as well the graphically talented folks draw incredible bits of art. All of those things you imagined about sitting at a coffee shop and drawing is possible with your iPad, finger and this app. 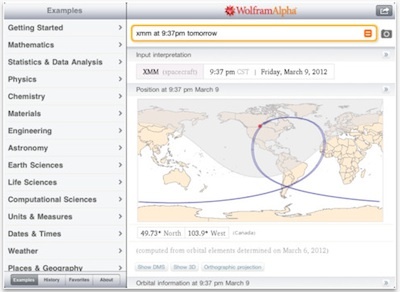 WolframAlpha (Universal version) – the super math app just keeps getting more and more advanced. It is more than a math app though, but mathematics is what it is best known for. Actually, you can ask very detailed information questions to gain information anytime you need it. In a meeting, someone asks about the size of a group and how it relates to another, you can get there with this app.